Keep airway clear by positioning your baby with his or her chin up (never curled down to the chest) so that your baby’s airway remains open. 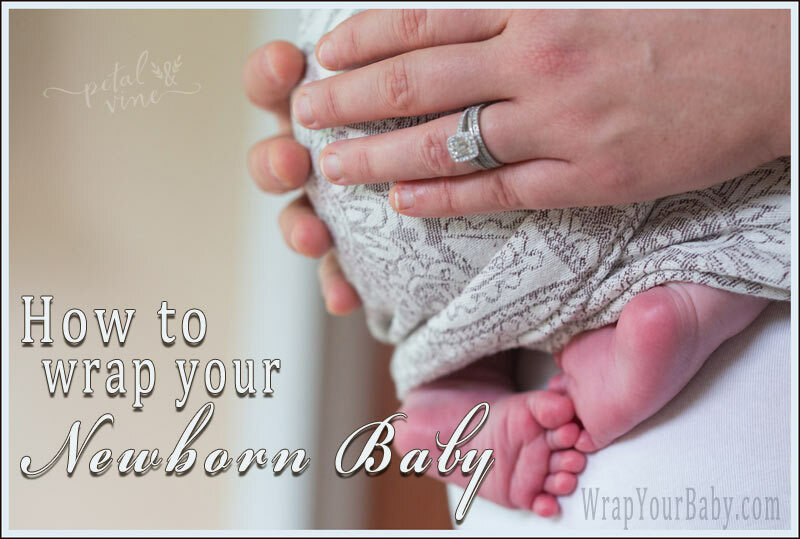 Your wrap should be snug so baby can’t sink, lean, curl or change position. Fully support your newborn’s spine in its naturally rounded position with hips and legs tucked (like a deep squat) and not spread wider than baby’s pelvis. Baby’s bottom should be lower than his or her knees, which helps keep the healthy rounded curve of baby’s spine. Your newborn baby wrap should support baby’s spine without flattening it out, and should support baby’s bottom and thighs. Wrap your newborn high on your chest in an upright position. Your baby’s face should always be visible to you, and baby’s cheek lays against chest so that nose and mouth are clear. 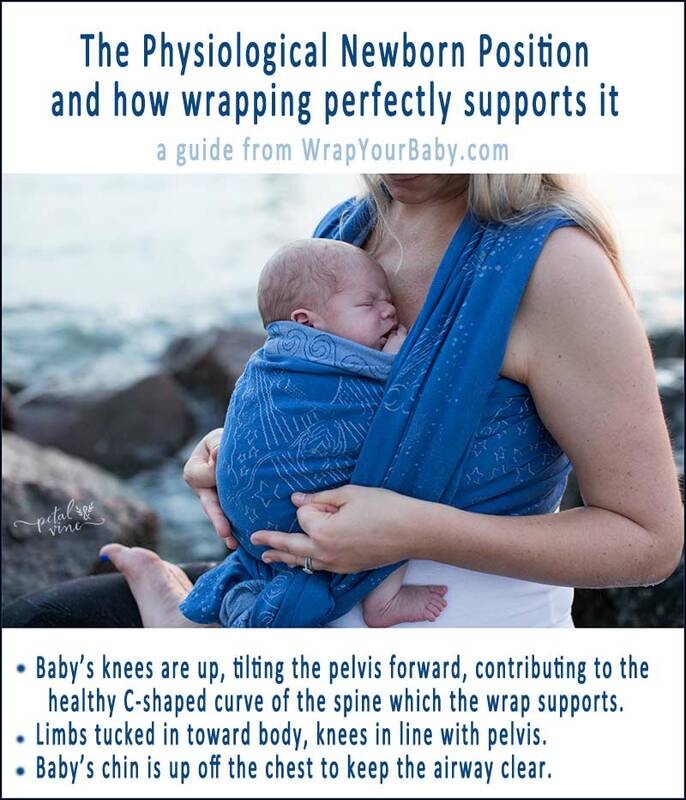 Use the top edge of the wrap to support your baby’s head behind the neck and up to the bottom of baby’s ears without covering that sweet face. 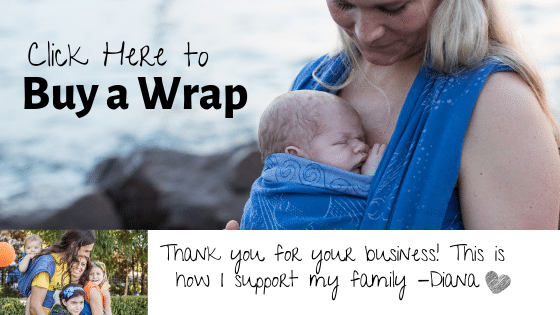 The best newborn wrap is soft and supportive, perfect for cradling a newborn baby in a developmentally appropriate position where he or she can thrive. This Sunshine Rainbow wrap is made by Girasol: wonderful wraps for new wrappers and newborn babies. It is soft brand new, and easy to work with. provides perfect support for a newborn. is perfect for a beginner to learn how to tighten and adjust your wrap. 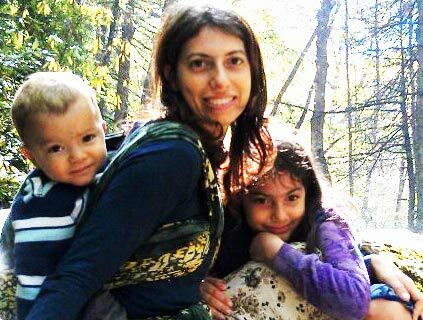 is a great nursing wrap carry for breastfeeding moms. supportive carry for newborn through toddler. perfectly supports newborn’s naturally curved spine. allows for best hip and leg positioning with no bulky wrap crossing under baby’s legs or between you and baby. can be done with a shorter wrap. is a cooler, single layer carry for Summer. provides beautiful support for newborn spine and hips. has no cross under or between tiny newborn legs allows optimum positioning. is great for skin to skin benefits while keeping you fully covered. is perfect for errands because you can pop baby in and out of it without retying. Get a woven wrap that is soft enough for a newborn and easy for a beginner to manipulate easily when learning to wrap.